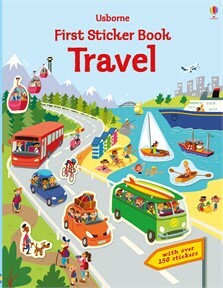 Relax on a cruise ship, catch a flight at the airport or travel on a canalboat in this sticker book full of bustling travel scenes. There are over 150 stickers to bring each scene to life, from cars, buses, planes and trains to tourists, passengers and much more. A perfect activity for a journey or holiday.